Getting products from design to invoice in the shortest time possible is the key to successful manufacturing for Parisi Inc. Royal Store Fixture. The plant, located in Chicopee, Mass., uses Pattern Systems and Visual Manufacturing software, CNC equipment and just-in-time manufacturing to streamline operations and improve efficiency. The quicker you can get from the design to a check in hand the better, says Michael St. Germain, part owner and vice president of manufacturing. "The less a product sits around, the less time you spend on a product, the more you make. 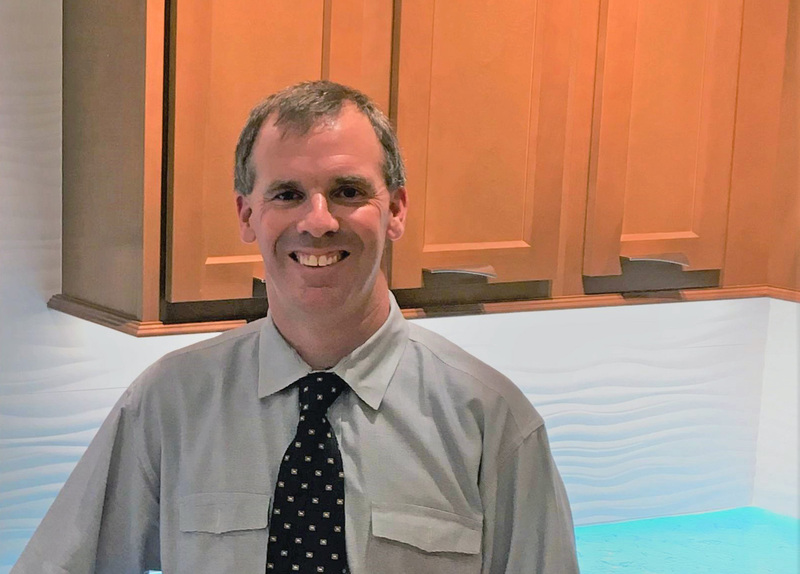 "We're trying to maximize production by using automation and software in a way that will reduce the need for highly skilled journeymen cabinetmakers or even apprentices," says St. Germain. With barcoding and scanning, an employee with lesser skills can be used and the employees with more skill can be put in more demanding areas. The company designs and manufactures store fixtures and millwork for quick service and store chains nationwide, millwork for large projects, such as Logan International Airport, and refrigerated cases for delis and specialized food displays. St. Germain believes in duplicating the major production equipment. 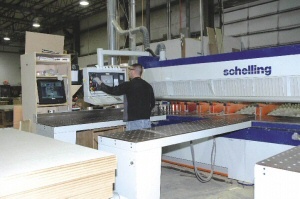 Parisi Inc. has two Schelling beam saws, two Busellato CNC routers, one Homag CNC edgebander and one Holz-Her edgebander and two widebelt sanders. "We have redundancy of equipment, so we're never down," says St. Germain. "One saw may go down, but there's the other one." The newer machinery was purchased with some differences that add versatility to the production process and improve their usefulness. The two beam saws are both from Schelling, but one is rear-loading and the other front-loading. They are set up to handle panels for cutting with the same book height, so programs on the server can be done by whichever saw is free at the moment. This allows both saws to stay busy and to work from the same cutlist, says Albert Royce, director of detailing. When the company bought the Busellato routers, it purchased a Jet 6000 and a Jet 6000XL, so that one bed would be slightly larger than the other, again giving the company more flexibility. One of the primary reasons Parisi Inc. chose Busellato routers is the operating system with specific pin pop-up. In these machines the pins pop up only where the piece is to be placed, reducing the employee skill level required to run the machine. As a result of a merger, Parisi Inc. has a Homag CNC edgebander and a Holz-Her edgebander that is not CNC. The CNC edgebander changes tapes, tool bits and setup by using barcode mounted on the side of the machine and a scanner. It has a two-tape magazine and, with just a scan, can put a PVC edge on one shelf and a veneer edge on the very next piece. Everything is done automatically. The other edgebander is set up to the one edge the company produces the most, since it takes a half hour or longer to change this machine to a different setup. "Our product comes out of the Homag hands-free. We don't touch it, don't have to file it, don't have to clean it or do anything to make a perfect edge," says St. Germain. "The more automation you have without people having to handle it, the better off you are." Pattern Systems and Visual Manufacturing software are used to process products and information efficiently and seamlessly. The Parisi administrative and sales offices, located in Newtown, Pa., are connected to the plant in Chicopee with a T1 line. Design is done in New Town. Drawings, whether they are standard shop drawings or 3-D, are done in AutoCAD and are sent to the Chicopee plant via the T1 line. The drawings are then converted using one of five Pattern Systems modules or AutoLink. Parisi owns Product Planner, Cut Planner, Drill Mate, QuikTrak Labeling and Rapid Engineering. If it's a casework project, it goes to Product Planner. Any kind of parts list, whether a project is done in Product Planner or not, is done in Cut Planner, optimizing software that downloads to the saw. If a project goes through Cut Planner, Drill Mate will provide the machining programs for the Busellatos and also will pick up the programs needed for the Gannomat boring machine. St. Germain has used Pattern Systems since 1995, and says he finds it to be very flexible and essential in the company's efforts to streamline production because of the barcoding and scanning. "I like its ability to parametrically program, to take a run of cabinets and size the parts," St. Germain says. "It automatically sizes all the parts, labels all the parts and makes all the drilling programs for us instantly. We download it to the server and as these guys come up for a job, they're able to grab it off the server and barcode it." The company originally printed the barcode labels in the office. Next the labels were done online and printed at the saw. Now the plant is using demand labeling for increased flexibility. Demand labeling is done through the Pattern Systems program using a touch screen at the saw. It will print one label for a stack of parts, five individual labels or reprint a label. Visual Manufacturing is the software that controls all the other aspects of manufacturing. "Visual Manufacturing is basically A to Z manufacturing software that has everything from billing, payroll, scheduling one piece of software for total manufacturing. Everything from the customer order entry to the invoicing at the end and everything in between is part of the software," says Royce. "The software tells us when we have to start to meet a ship date and it does inventory." Visual Manufacturing controls the process and steps with a traveler, a packet of paper that travels with each project, detailing what operations are to be done, the hours estimated and the materials needed. The traveler spells out the production process as it moves through different cells, such as the saw cell, the CNC cell or the edgebanding cell. When the work is done in a cell, it's marked with a C for complete and the number of hours it actually took to complete. The software also helps the company track inventory. "When they do the detailing through Pattern Systems and through Visual, they create a demand on that inventory. So you can run a list of your inventory and see what's in demand, on order and on hand," says St. Germain. That's ideal when you're doing just-in-time manufacturing, he says. "Scheduling software enables us to see where our bottleneck is, but doing something about them is our challenge," says St. Germain. "To be able to have the work hit the floor and feed the cells equally is a huge challenge." Sometimes cells will have too much work and others won't have enough, he says. It's especially difficult when a rush job is pushed through or a job that has a lot of cutting and assembly, but not much CNC work or finishing work. "We can reassign people, but certain people, such as finishers, are not as effective and efficient at assembly as someone who has done that job before," says St. Germain. 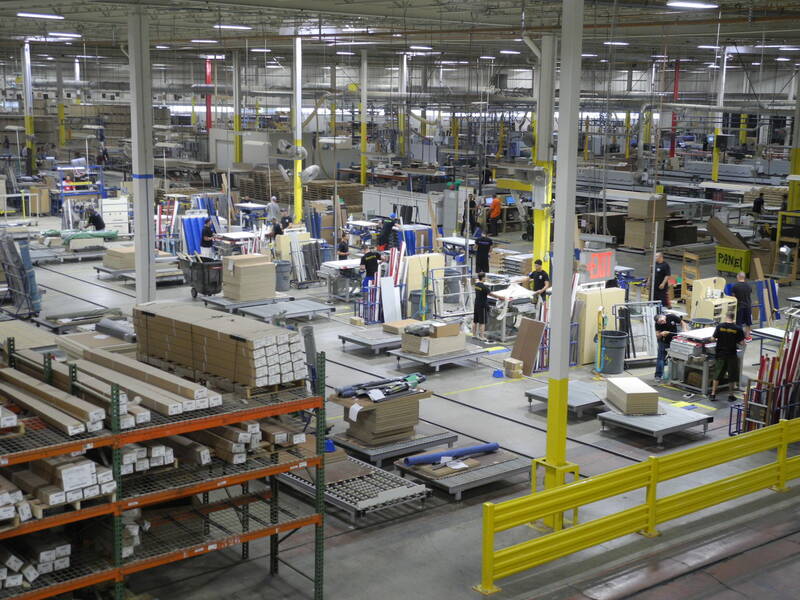 A big challenge that all store fixture manufacturers look at is keeping an even flow of sales through the door. Most large retail chains change dramatically from year to year, so it's hard to know when it'll be a big year. Parisi has the ability to do very large or much smaller jobs equally effectively. 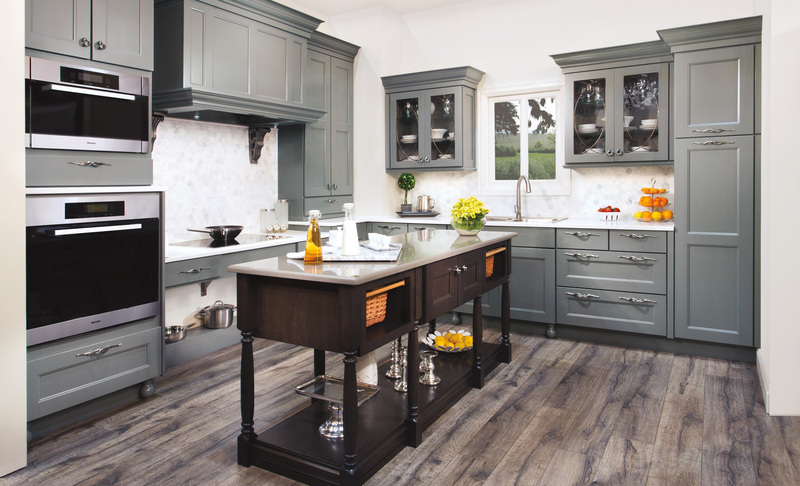 "We sell a good-quality product and are very service-oriented," says St. Germain.